I’m excited to introduce to you all another very talented gal who is gracious enough to keep you all entertained while I survive celebrate our little addition to the family. Thanks for being here, Jenna! Hi y’all! I’m Jenna from Rain on a Tin Roof. 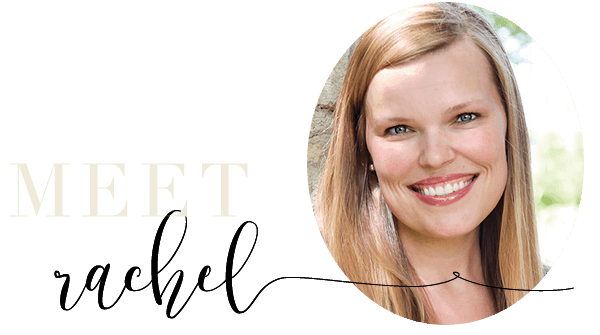 Before I say anything else, I want to congratulate Rachel on baby #3! My hat is off to her. Y’all, I am a one and done kind of gal, so I have no idea how she does it! 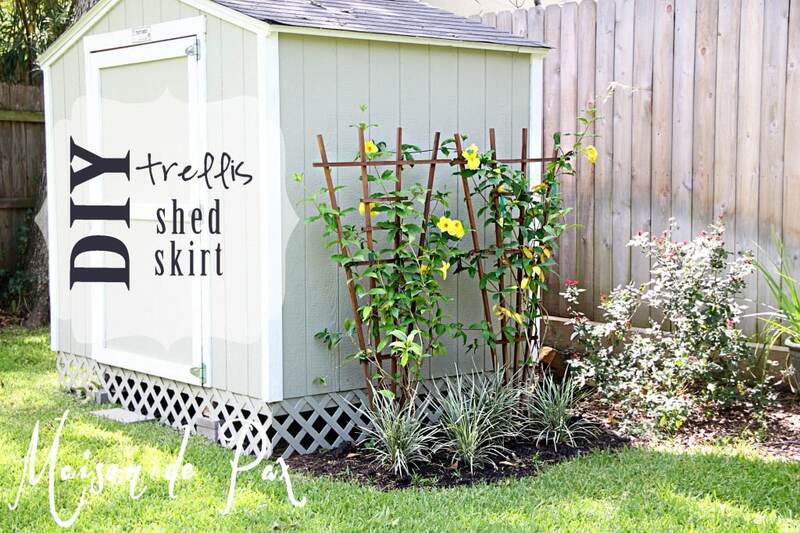 At my blog, I talk about DIY projects, creating chic décor from junk, thrifty finds, crafty creations, and some funny stories about chocolate milk and all of life’s other little things every now and again. When I’m not trying to keep my kid out of the spray paint or making sure Grunt Labor (the husband) gets fed dinner, I can be found with a paintbrush in one hand and a cheap beer in the other. If you are buying though, I’ll have a Cosmo. Or two. Like I said before, my blog is full of lots of different things. To give you guys an idea of my style and what you will find at my blog, I thought I would share some of my most popular posts that people besides just my family seem to like. Ya know, ones where the only comments aren’t from my Dad? 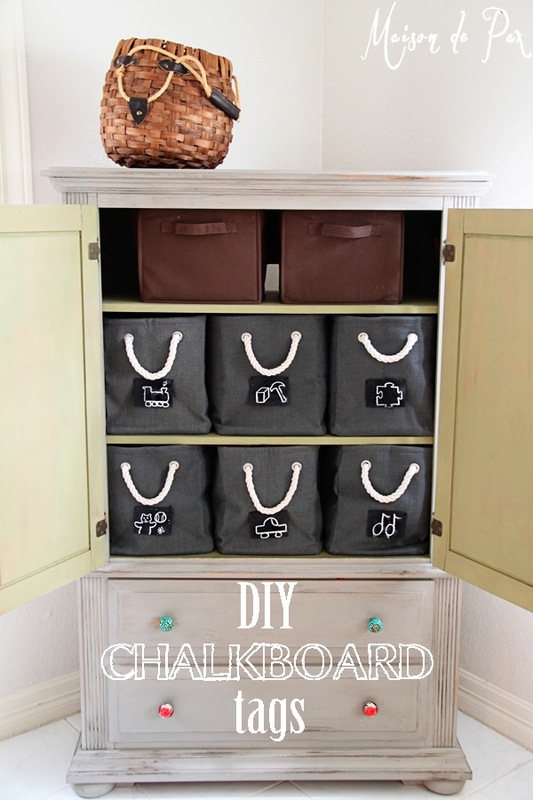 Furniture makeovers are one of my favorite things in the world to do and my blog is stocked full of ’em. 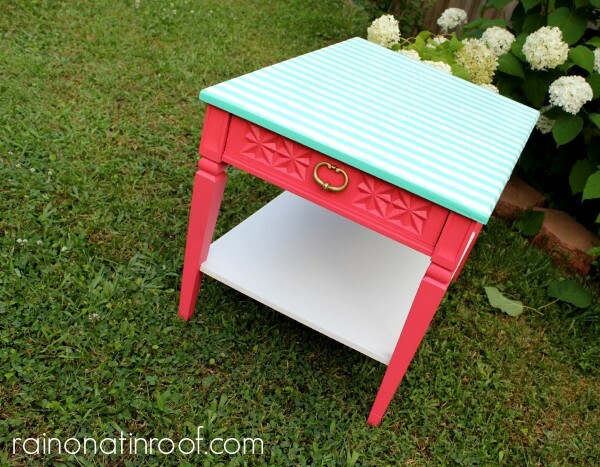 This table that I made over using wrapping paper is super popular and its one of my favorite makeovers to date. I just love the colors on it. The desk in my new office and guest bedroom is also another favorite, as well as sentimental. 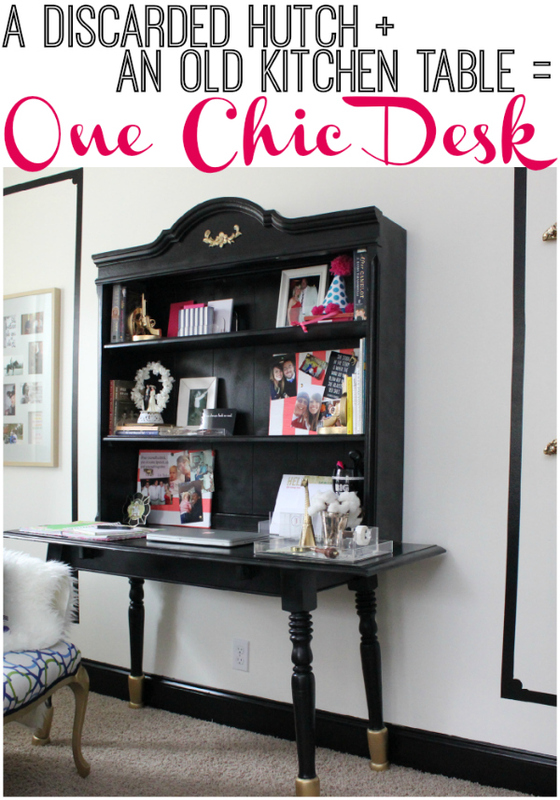 You can see my full gallery of furniture makeovers here. Most people love my kitchen the most (it has definitely came the farthest), and you may really like my DIY kitchen island. We made the island from salvaged barn wood and other pieces from a local architectural salvage store. You can see how we built it here. 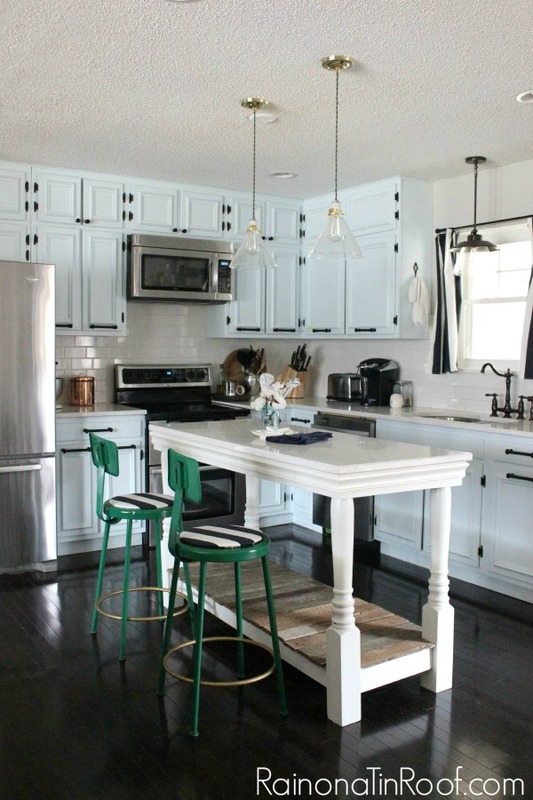 My barstools are one of my favorite things in my kitchen space. I’m a sucker for just about anything kelly green and navy blue. 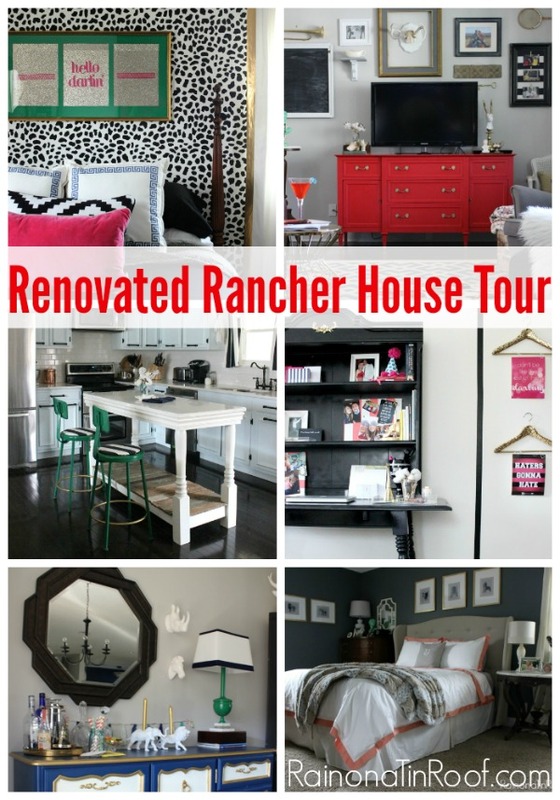 My most popular post of all time is my home tour from last summer. A month or so back though, I posted a new updated home tour which features my mix of vintage, modern, and rustic styles, with a bit of chic-ness thrown in here and there. You can tour it here. Don’t miss the bathroom renovation when you take the tour – is actually got featured in This Old House last October. 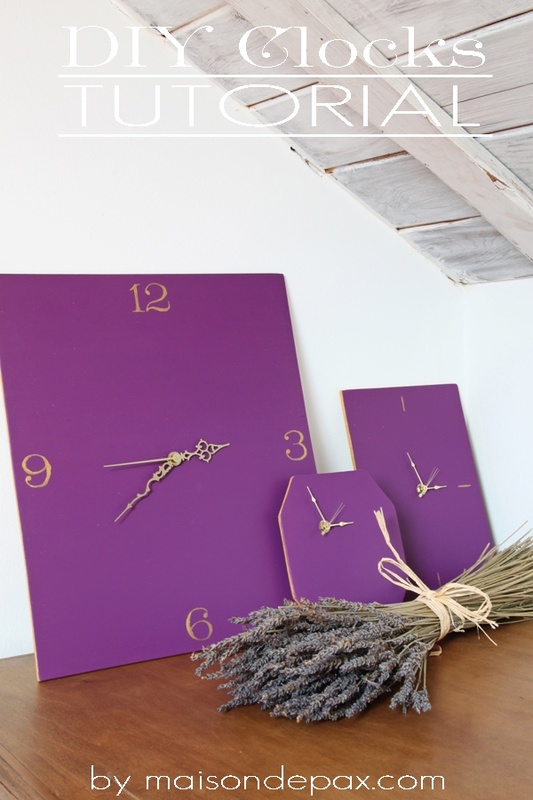 DIY party decorations are also a big hit at my blog. Perhaps, because I am lazy and make them as simple as possible. 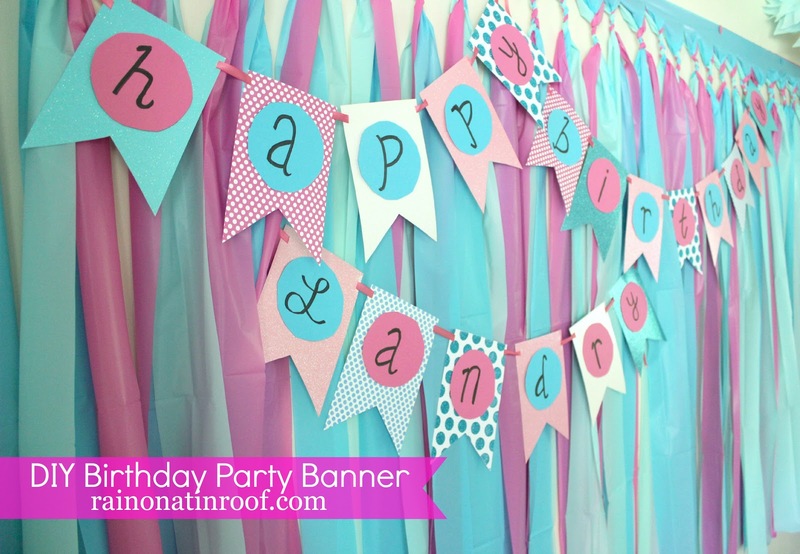 The DIY party banner is really easy to make – no Silhouette or Cricut required. That DIY party backdrop behind the banner was simple as well and will only set you back $3. Yep, $3. If you guys liked this little tease, I would love to have you visit me at Rain on a Tin Roof . Thanks so much for having me, Rachel!